Human rights campaigners say people are being tortured and abused. IT HAS BEEN reported that gay men in Chechnya are being sent to concentration camps before being killed. Earlier this month, a respected Russian newspaper said it had uncovered information that police in the southern Russian republic of Chechnya had rounded up more than 100 men they suspected of being gay and that at least three of them were killed. The report in Novaya Gazeta said it had confirmed the information with sources in the Chechen police and government. The newspaper is now reporting that a secret prison has been set up in Argun to detain the men arrested. Human rights campaigners say these claims are consistent with information they have received. LGBT activist Svetlana Zakharova told Pink News: “Gay people have been detained and rounded up and we are working to evacuate people from the camps and some have now left the region. Tanya Lokshina, Human Rights Watch’s programme director for Russia, said the information published by Novaya Gazeta is in line with reports it has received from “numerous trusted sources, including sources on the ground“. 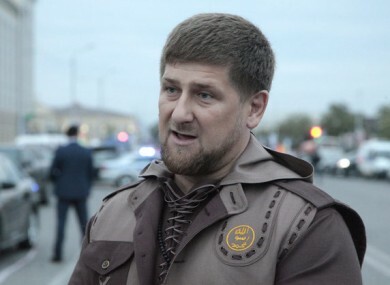 At the time of the initial report in Novaya Gazeta, a spokesman for Chechen President Ramzan Kadyrov denied it and suggested there are no gay people in the Muslim-majority region. Protests against the reported treatment of gay people in Chechnya have been arranged in numerous countries. The Kremlin previously said it was unaware of the situation and urged anyone who was affected to file official complaints and go to court. For this reason, with very few exceptions, victims of torture and other horrific abuses refrain from seeking justice or withdraw their complaints as a result of threats, including death threats and threats of retaliation against family members. Email “Gay men in Chechnya reportedly being sent to prison camps and killed ”. Feedback on “Gay men in Chechnya reportedly being sent to prison camps and killed ”.